Seed Manitoba is an invaluable resource for producers as the seed guide contains agronomic, disease resistance and quality information for all crop varieties to better assist farmers in making crop varietal choices for their farming operation. 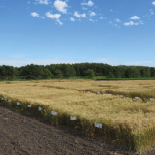 The yield and protein information in Seed Manitoba is derived from small plot replicated trials by third party contract researchers across Manitoba agro-regions to assess genetic potential throughout Manitoba. The remainder of agronomy and disease resistance information comes from the Prairie Grain Development Committee registration data. How can it help my operation? 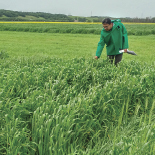 Crop variety selection is an important decision for producers annually. Producers manage risk on their farm by selecting varieties that perform well in their region. 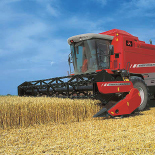 Performance is measure by yield potential, disease resistance and quality improvements. Seed Manitoba provides information that permits producers to make the right decision at their farming operation that sets the crop up for success right from the start. Unbiased replicated third party varietal information that utilizes advanced statistical analysis across numerous sites in Manitoba. All data is reviewed annually by the expertise of the MCVET committee which is made up of representatives of seed industry including producers, plant breeders, researchers, agronomists, and commodity associations.